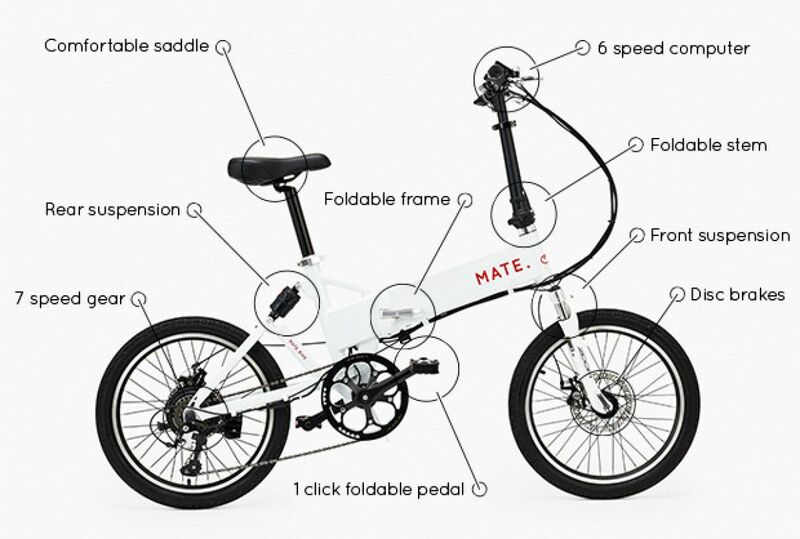 Funded through the crowdfunding place Indiegogo the new electric folding bike Mate from Denmark will go into production as soon as possible: the Indiegogo campaign has accumulated nearly 2 millions of dollars for the production, 2.500% more than expected. The MATE eBike is a foldable electric bike that is a dream to ride. With front and rear suspension, a set of 2 carbon disc brakes and an ultra comfortable saddle, MATE takes you from A to B in comfort and style. The 3-Step Folding system means you can take it with you anywhere: in a bus or train for faster commuting, the trunk of your car for longer road trips or even pack it under the stairs for easier storage. The MATE is designed with versatility in mind. Of course you can ride it as a normal bike with the 7 speed Shimano gears. But the real joy comes from the 350kw electric hub motor (MATE S). As you cruise through your neighbourhood at up to 20 mph / 35 km/h without even breaking a sweat, you’ll be convinced. And with up to 55 miles / 80 km on just a single charge, MATE takes you further and makes your commute a breeze. The 3 step fold system makes it easy to take MATE with you wherever you go. Simply fold the frame and the stem and adjust the seat post - done! When it’s time to go, just grab the handy carry handle and take your MATE with you. 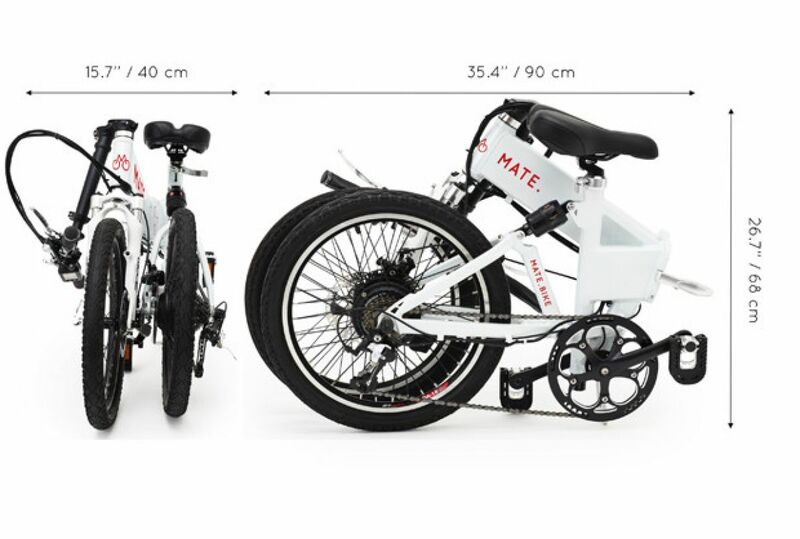 MATE comes with high quality carbon disc brakes, front and rear disc brakes, and front and rear suspension for a safe and smooth ride. And with versatile all-terrain tires, the ride is always smooth, even over rough cobbled stone streets. The 350w or 250w hub motor lets you glide through city streets without breaking a sweat. The thumb throttle (MATE S only), or 6 speed computer (MATE City / City+) gives you the option of varying levels of pedal assist. When you wish to ride it like a regular bike, the 7 speed Shimano gears give you the control you need. The high quality Samsung Lithium Ion battery is tucked neatly into the frame and kept safe with a sturdy lock mechanism. You can remove the battery easily and charge it, or plug the bike directly to your convenient power outlet. With just a 2-hour quick charge* you are powered up and ready to roll again. MATE comes with an intelligent 6-speed computer and an LCD backlit display. This waterproof and dust proof display shows you the battery life, time and distance of travel, so you are always in the know. The built-in USB charger lets you charge your smartphone and other devices on the go, so you never run out of battery again. “Our goal is to make bikes the transport of choice for people across the globe. 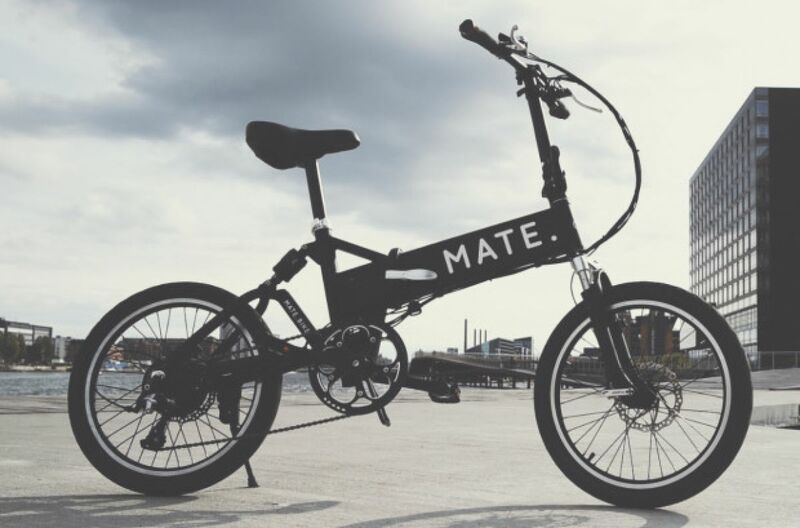 And we believe MATE can help us reach that goal - an affordable, versatile eBike that is fun to ride. Biking is fun, convenient, good for both your health and the environment.. also something we are deeply passionate about. We’ve put a lot of work into making the perfect MATE. We’ve got our prototypes ready and with your help, we can go into production and share it with the world. With $80,000 USD we can hit the minimum order quantity to go into production. The more we sell, the more affordable we can make the bike in the future, which is our ultimate goal. As a special offer for supporters of our launch campaign, you will get a massive 70% off our final MSRP! This means for only $599 (MATE City) or $749 (for an upgraded MATE S) you can get your very own MATE at less than half off the retail price. This is a strictly limited offer as a reward for those who support our vision and product..All campaign supporters will also become MATE VIPs and are entitled to exclusive early bird offers and discounts on future accessories. Do you know why Copenhagen has been called the happiest city on Earth? BIKING! Riding a bike gives you exercise, allows you to move freely and is the greenest form of transportation. But why aren’t there more people biking everyday then? We realised that in some countries or places, biking is not as easy as “riding a bike” and there can be many obstacles along the way that prevent you to even consider bike as an option in your journeys.